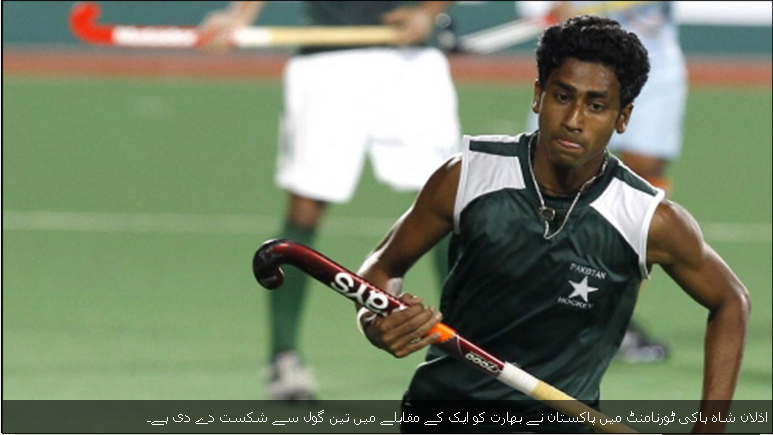 Pakistan put up an impressive performance and eased past India 3-1 with goals from Umar Bhutta, Mohammad Imran and Sohail Abbas in the Sultan Azlan Shah Cup. Mahadik Dhananjay of India (L) and Haseem Khan Abdul of Pakistan (R) compete for the ball during the Sultan Azlan Shah Cup men's field hockey tournament in Ipoh on May 11, 2011. Mahadik Dhananjay of India (L) and Haseem Khan Abdul of Pakistan (R) compete for the ball. 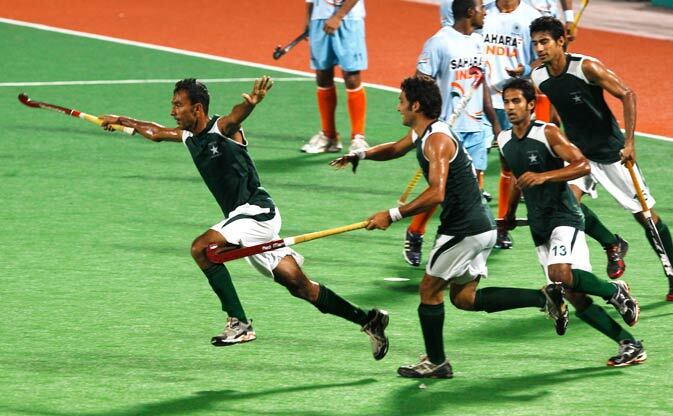 India's Rupinder Singh, third left, is celebrated by teammate after scoring a goal against Pakistan. 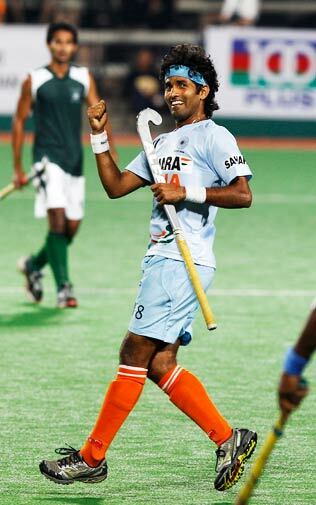 India's Shivendra Singh reacts as he fails to score a goal against Pakistan. 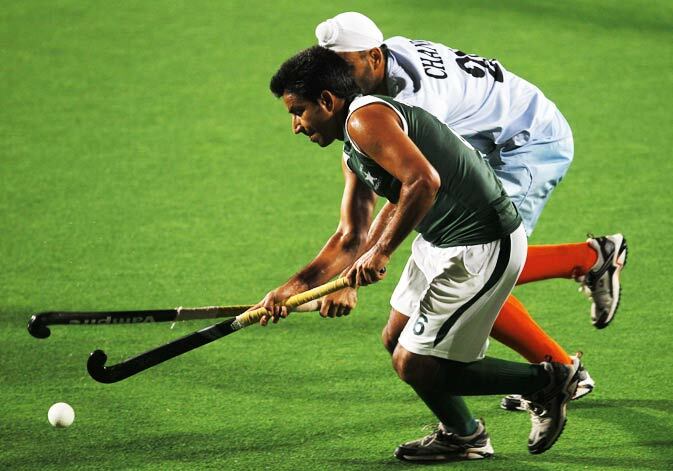 Rizwan Senior Muhammad of Pakistan (R) and Sowmarpet Vitalacharya Sunil of India (L) compete for the ball.